Download all Facebook images in one Zip file. If you want to download your all images that you uploaded on Facebook in a zip file so you can do that easily. You don't need to download images one by one you can do download in one zip file. Facebook2zip file this will help you to do this so easily. 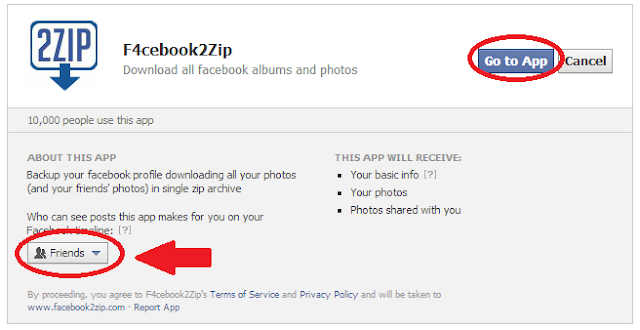 Facebook2zip collects your all images from Facebook and make zip file. You can also download all images from your friends Facebook id. How to download all Facebook image in a zip file. First visit this site facebook2zip.com. Now click on your name if you want to download images from your id and type name of your friend to download images from your friend Facebook id. Now click on 'Choose albums' tab and choose albums from that page. Now just click on Download tab and download images from there. This looks like a really useful tool!